Casa Susana located in Villas del Mar: This spacious three-bedroom ground floor home rental features an elegant décor and seamlessly fuses the warmth within with the serene outdoors, creating the ideal setting for rest and relaxation in a tropical paradise. This 2,250 square ft. beachfront condo for rent has unobstructed views of the pool and beach. The living and dining area open to the private covered terrace with a teak dining table for 6, enjoy the jacuzzi, grill your favorite foods, enjoy afternoon drinks or simply enjoy life. A fully equipped kitchen with granite counters and stainless steel appliances has all you need for cooking a gourmet meal or having a chef come in and cook for you. The master suite with king bed, ensuite bath with bathtub as well as a walk-in closet. The second bedroom with two queen beds has ensuite bath with shower also features a walk-in closet. The third bedroom has a queen size bed and access to the third bathroom in the hall. This beautiful home rental is child friendly, has air conditioning, ceiling fans, cable tv, Vonage phone for free calls to USA. Safes for your valuables are installed in each bedroom. Puerto Aventuras is recognized as a world class gated resort, explore and you will find an active community of residents and the generous local people who will show you the wonderful beauty of the Riviera Maya and its sandy, family friendly beaches, a world of water sports and year round enjoyment of golf, surfing, tennis and sunsets…all only a few hours flight from most major North American cities. 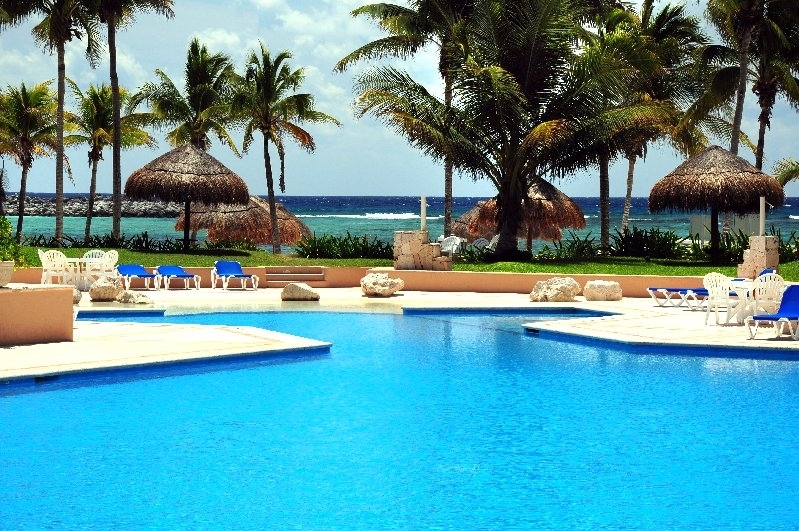 Rentals in Puerto Aventuras, Rent villas and luxury vacation homes in the Riviera Maya that offer private pools, beachfront, staff and concierge service. •Wireless Internet - please bring your own laptop!